Victoria SW1 Home & Office Window Cleaners | RDA Cleaning & Maintenance Ltd.
We are an expert window cleaning company in Victoria SW1 and offer quality services for both residential and commercial customers. Out Insured Professionals do their very best in providing you with the highest quality performance at an affordable price. RDA Cleaning & Maintenance Ltd.’s purpose is to reach as far as possible and to provide best window cleaning services for the entire London. With years of experience behind its back, the window cleaning company offers will not only leave you with a sparkly clean view but our benefits will also make sure to leave you satisfied with the overall experience. So why don’t you give us a call at 020 3404 1646 or use the online booking form? So that we can be on our way to do the job we love. The risk of handing from high buildings is not the only secured measure we provide. We have also excluded all the classical toxins of the sanitizing procedures today. Our comprehensive domestic & commerical window cleaning Victoria SW1 service does not use any liquid detergents, toxic products or oil-based remedies that might spoil the windows. We sanitize the windows with ordinary purified water. Thus, no streaks or spots remain on the windows, but they still get shiny and sparkling clean. Keep in mind that if sill are reachable enough, we clean them, too And if required, the enthusiastic window cleaners will wipe and brush the windows from the inside, too. RDA Cleaning & Maintenance Ltd. is a well-known professional cleaning company with great reputation on the market and among the audience. One of our specialities is the revolutionary window cleaning procedure. After years of practice we have developed the best and most secured way for a team of window cleaners in Victoria SW1 to follow. It has been years since we have introduced the procedure and we are happy to tell you that we receive more than 15 thousands new happy customers per year. All of them are satisfied and we get about 96% positive feedback on our services. 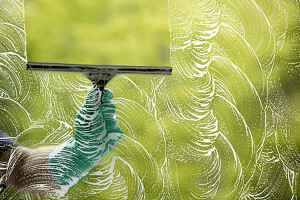 Need A Pro Window Cleaning Victoria SW1 Service? Then Call Us! Have no hesitation to make a quick reservation for our competitive window cleaning service in Victoria SW1 today! Get a free quote! Call us on 020 3404 1646 and we will make everything to come to your place as soon as possible!